Pets and Pools, Do They Go Together? A beloved pet is usually considered a part of the family. You share fond memories with your pet such as their silly faces, how they eat, and even how they comforted you when you were having a bad day. Making sure your pet is safe is a valid concern because pets can be a little fragile and have different needs than a child does. Swimming pools are a great addition to any home. They offer many health benefits and fun memories for the family. When looking at and deciding on which pool to buy you should consider you furry little friend and if they will be safe or not. This can be confusing because there is a lot of stuff out there on pools and animals and what is safe for them and what is not. Every situation is different so there is not one answer that will fit every situation. There are many different aspects to think about when seeing if a pool and a pet will be a good fit for one another. There are different pools and some swimming pool models might be safer for some pets. A regular, above the ground pool is a safe pool to have if you do not want your pet to be near the swimming pool. A ladder or some kind of gate can be beneficial to keep the pet out from entering the pool. If you want your swimming pool to be an inground pool there is a higher chance that your animal could get into the pool when they go outside. All of these different options vary in price so you can check out what the swimming pool contractors Fort Worth Texas area. There are a lot of different pets. You will not have to worry about a swimming pool if your pet is a strictly indoor pet such as a bird or a hamster or rodent. Dogs are probably the pets with the most worries because they need to go outside and be active. Cats can also be a concern if they enjoy spending time in the backyard. If your pet can swim you do not need to worry about them spending time in the pool, especially if they are being watched by another family member. Keeping the pet supervised is a good option to keep them safe and sound. 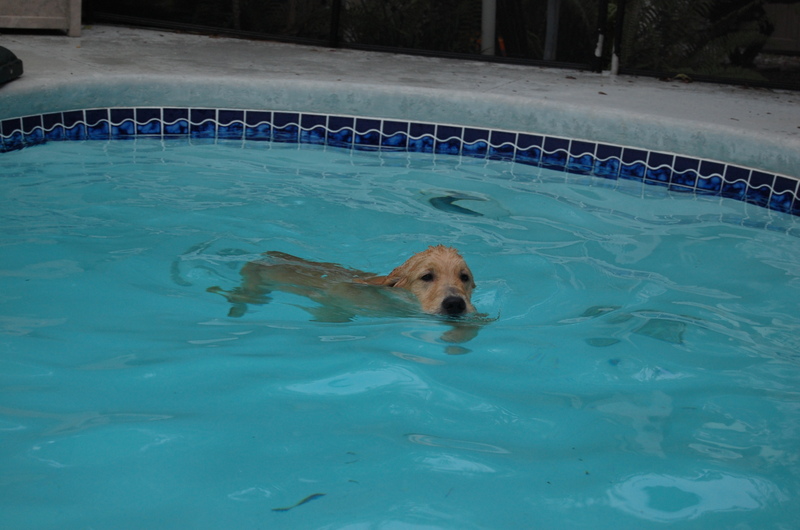 If your pet can swim and enjoys swimming it can be a great form of exercise. Dogs can play in the swimming pool with toys and balls. This can help their joints and limbs stay loose and healthy. Having a swimming pool can keep your children a little more active and your pet a little more active as well. It can be a great source of bonding with the kids and the pets. It can also give you a break from taking the dog on long walks or playing catch with them. If your pet really does not enjoy water such as a cat, it can become a problem if they want to spend time outside in the backyard. If the pet does not know how to swim that can be a problem if they are always trying to get in the swimming pool when someone is around to watch and supervise them. There are a number of concerns that arise when having a pet around a source of water. Dogs should not get their only source of water from the swimming pool, they need normal water. An occasional drink from the pool is okay if they do not have heart or kidney diseases. If your pet can’t swim, so certain types of dogs and some cats, they should not be in the swimming pool. You can take them on a flotation device if you really want them in the pool with your family. As long as you keep your water clear and clean there should not be a problem with your furry friend playing around in the swimming pool.